How many times have I heard someone ask, "What kind of grape is Chablis?" It has happened more often than a wine nerd might think. It's almost as common as confusing "sparkling wine" with "Champagne," and right along the same lines, although nobody has ever asked me what kind of grape Champagne is. As long as it tickles the nose, what do they care? 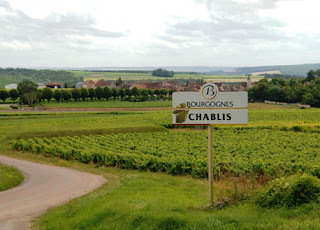 Chablis, of course, is a region in France’s Burgundy wine region. Chablis wine is made with the Chardonnay grape. In America we call that "white wine." Or, at least, some of us do. The biggest hurdle most introductory wine drinkers have to clear is understanding all the nuances, like the fact that French wine is labeled by region, not grape. Chablis is Chardonnay, you just sound a lot more continental when ordering it that way. A recent Twitter gathering of Chablis lovers took place, with some wine writers invited to join in the fun with samples provided. I was there. The four samples were all consistently good examples of what Chardonnay, er, Chablis can offer. I don't know if you can really go wrong by simply ordering "Chablis," with no other information given. If you have had trouble in that area, I'd love to know about it. My thoughts on the wines follow comments from some of the other participants. One Twitter Taster branded Chablis as, "Wonderful elegant white wines from France," which the Chablis people must be happy with. Another posted that "most people in the "ABC Club" usually find their way out by way of #Chablis," referring to the blinkered "Anything But Chardonnay" crowd. What’s good about it and why? "Nowhere else produces Chardonnay like Chablis: vines grow on prehistoric sea, w/ saline geology." The cool climate in this northern neck of the Bourgogne woods also has a lot to with it. The Chardonnay comes out leaner, steelier, flintier than a big, ripe California Chardonnay. As one Tweeter put it, "#Chablis is the essence of terroir." Chablis, owing to its fresh acidity and flinty flavor profile, is a great wine to have with brunch. Have it with breakfast if you want, I’m not going to judge. It pairs great with eggs and croissants, in addition to the usual shellfish and sushi. Try it with guacamole and chips. Your football Sunday will never be the same. Petit Chablis is an appellation within the Chablis region. An incredibly golden hue is a delight to look at, but quit looking and pour. The nose is great, full of minerals and citrus and an earthy sense that underlies it all. The palate is full of apples and lemons. An earthy streak rides from the front to the finish, the acidity is very refreshing and the mouthfeel is full and round. This is a great Caesar salad wine, or with pasta primavera. On Twitter, comments like this one summed up the wine: "loved it, drank it, did not spit it out. Light and minerally, brisk and ethereal!" 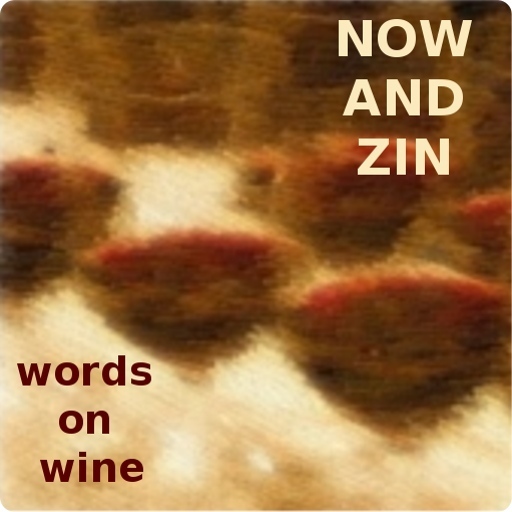 White Zin Lovers "Born That Way"